A long-serving weekly editor is leaving to head up a city council’s PR operation, sparking an editorial shake-up at his publishing group. Leo Whitlock, left, is leaving the independent KM Group where he has worked for 17 years, including 12 as an editor. Leo, who is responsible for the Kentish Gazette, Whitstable Gazette, Herne Bay Gazette, Faversham News, Thanet Extra and East Kent Mercury, will take up a new role as head of communications at Canterbury City Council. His departure has sparked an editorial reshuffle within the KM Group which will see the number of editor roles reduced from five to four. The changes will see Bob Bounds leave his role as editor of the Medway Messenger and Gravesend & Dartford Messenger to take over Leo’s old titles from Monday. Sheerness Times Guardian and Sittingbourne News Extra editor Matt Ramsden will take charge of Bob’s former portfolio, while Kent Messenger editor Denise Eaton’s role will expand to look after Matt’s old papers. Robert Barman retains responsibility for the Kentish Express and Folkestone & Hythe Express, meaning an overall reduction in one editor role. Leo revealed his departure in an editorial in which he thanked his colleagues, readers and advertisers. He wrote: “I am proud to have worked for a family-owned independent company that genuinely loves the county an invests in it. Making Kent and Medway better places to live and work in is not just a marketing slogan dreamed up by an agency. 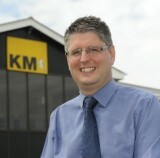 KM Group editorial director Ian Carter added: “”Leo has been with the KM for a long time and we are all sad to see him go. He has been a great colleague and friend. Leo began his career in 1997 as a trainee sports reporter for the Waltham Forest Guardian, and also had spells as chief reporter for the Wanstead and Woodford Guardian and sub-editor for the Epping Guardian. He joined the KM Group in 2000 and served as deputy news editor, and later news editor, for the Kentish Express before taking on its editorship in 2004. Leo told HTFP: “I have loved working for the KM Media Group and am extremely grateful for all of the opportunities they have given me. Leo was good enough to have me in for a week’s work experience in Ashford back in 2006, a chance to get my first bylines in print and an opportunity which opened the door to a wonderful few years in the local press. I remember that experience fondly, I couldn’t quite believe that the team in that newsroom were having so much fun each day and calling it work! Best of luck in the new job, Leo, and thanks again for letting me come and get in everyone’s way for a week. Yeah. Life in a newsroom used to be fun and the work still got done. It is just mostly grind, grind, grind now and be grateful you are in work.